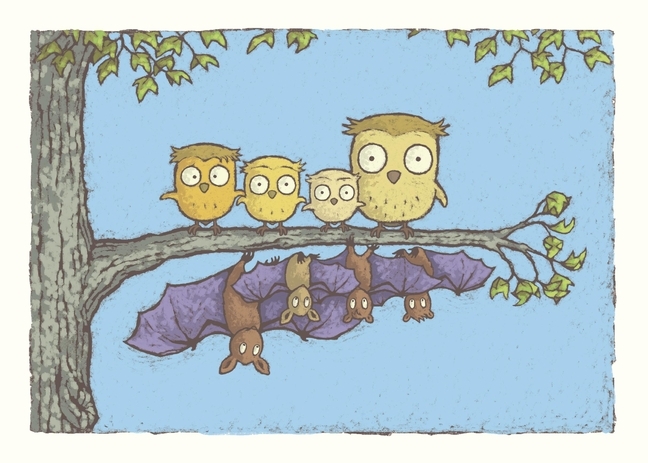 A family of owls become neighbours with a family of bats ... just how will the night unfold? 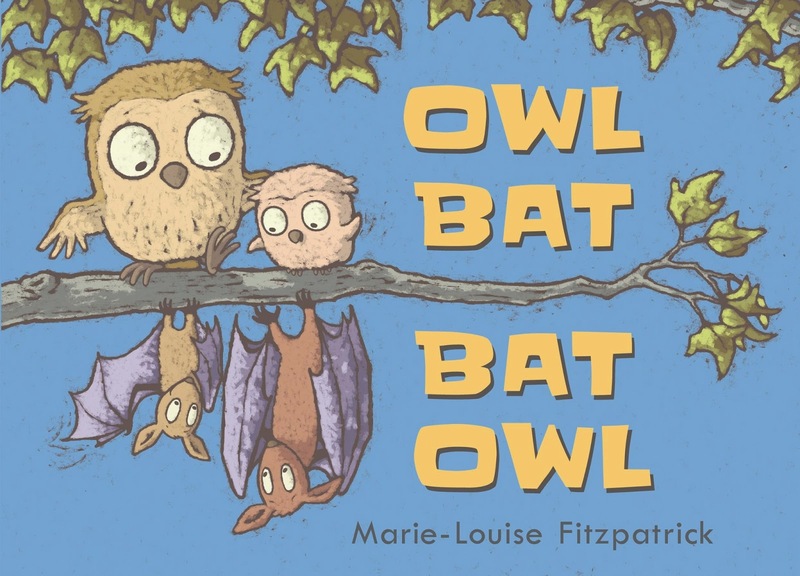 This stunning wordless picture book from Marie-Louise Fitzpatrick celebrates family, friendship and the power of togetherness. 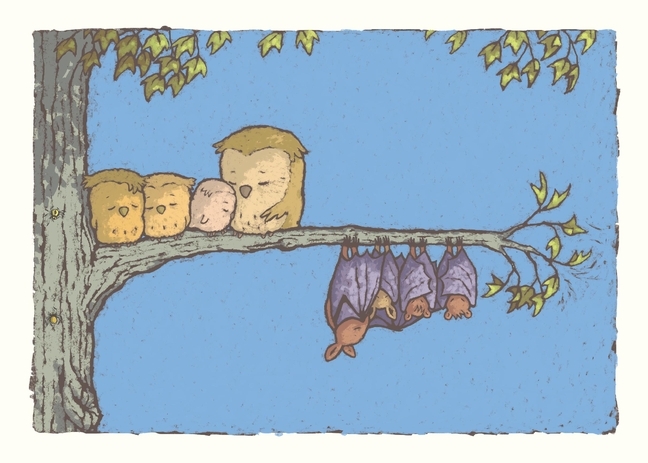 At first, it can feel daunting to share a wordless picture book with a child. You open the first page and there is no opening line to read aloud, no names for the characters and, when you come to turn the page, no words to guide you across. But that doesn’t mean a wordless book has to be read in silence. 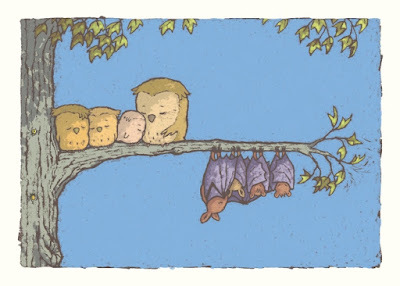 In fact, a wordless book can inspire even more words. Because, when you open that formidable first page, all you need to do is point things out in the pictures and ask probing questions – Where do you think this story is taking place? What do you think is happening here? Who is that? How do you think they think and feel? – and you’ll soon find that that page, so quiet at first, will have ignited a conversation between you and your child. You’ll find that your child will be looking closely and keenly at the pictures; that they are paying close attention to detail; that they are giving voice to their understanding of the story’s events. And when you have explored each picture together and discovered so much narrative there, there’s another wonderful way you can approach a wordless book … you can encourage your child to narrate the illustrations. And then (and without realizing it!) your child will learn so much about plot, about storytelling language, and about structure – they’ll begin to understand the need for a beginning, a middle and an end, and they’ll search for and learn all the new vocabulary they need to tell the story they feel compelled to tell. And what makes reading in this way so special is that the story will never be the same twice. One day your child might narrate in the third-person, another day they might see the story from the viewpoint of just one of the characters – anything goes. Every single reader and every single reading will inspire a whole new story … and isn’t it just that which makes stories so wonderful? So – don’t feel daunted! 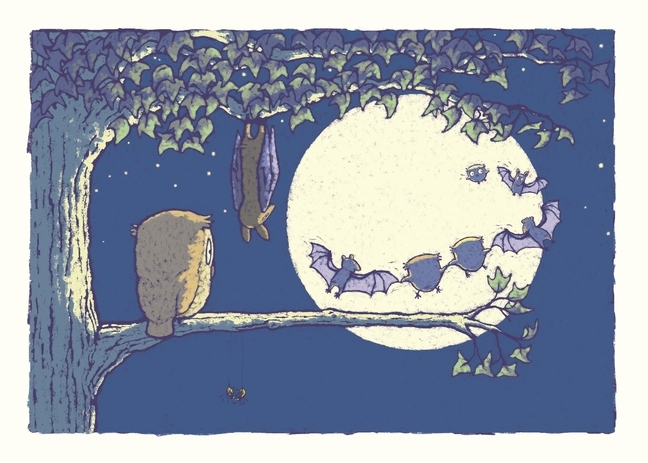 Feel brave and courageous when sharing a wordless book, like Owl Bat Bat Owl, with a child. Point things out in the pictures, ask questions, and encourage your child to channel their inner-narrator … do that and we feel sure that you’ll feel involved and excited by all the playful possibilities a wordless book presents. Because a wordless book, in the end, is a gorgeous opportunity – an opportunity for a child to read pictures, and an opportunity for a child’s unique imaginative response to be celebrated and take centre stage on the picture book page. Pick up a copy of Owl Bat, Bat Owl in your local bookshop. Download our free Owl Bat, Bat Owl reading guide here, packed full of great ideas and discussion points to help you get the most out of reading this book with your little ones.